Well look what season decided to show up along the northern half of the U.S.! Fall decided to bust into the party fashionably late and with a little bite in its bark. 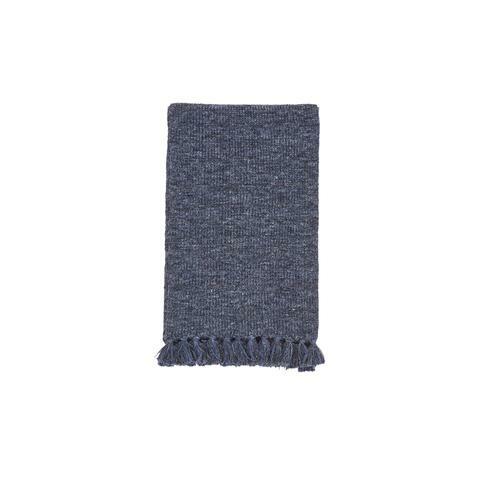 To fight against the turning temperatures we present you with this ultra soft, not unbearably hot, wool-linen scarf from Grayers. This medium-weight scarf is 70% wool and 30% linen, making it soft, warm, and breathable as to not cause an abundance of sweat around your neck but shelter you from the chilling breezes to come as Autumn settles itself in. Full Disclosure: We don't make any money off of this soft neck warmer, we just like and think you will too.